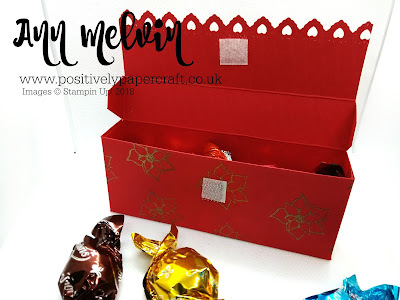 Today i have a really sweet little gift box that i made to hold some yummy chocolates! I also heat embossed the box with Gold embossing powder and Timeless Tidings stamp set. I feel like i have not done any heat embossing in so long! I used a cute heart shape die to get the fancy border but you can use whatever you have, a punch or die. 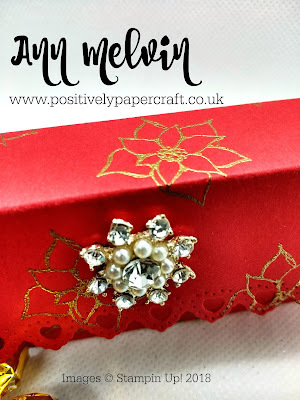 I also closed my box with some velcro but you could also magnets, ribbon or even make a matching belly band. You have lots of different options. This is a very easy and quick box to make and it would make a great teachers gift. You could buy a big tin of chocolates and make lots of these boxes!! 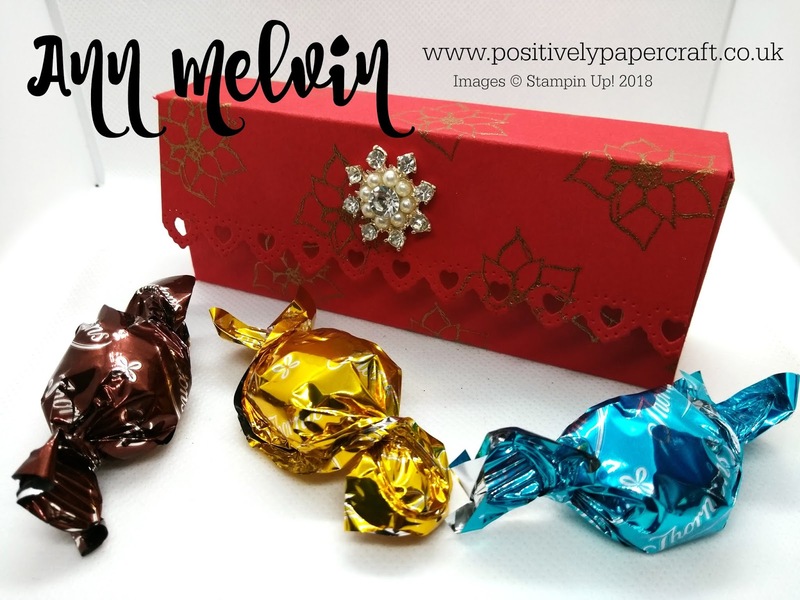 A very inexpensive way to make lots of Christmas gifts. CARDSTOCK MEASURING 7" X 7 1/2"
SCORE THE LONG SIDE @ 2", 3", 5" & 6"
SCORE THE SHORT SIDE @ 1" & 6"
Please check out my YouTube tutorial for full instructions. You can find the link at the end of this post. You can also purchase any of the supplies from my 24hr online shop. 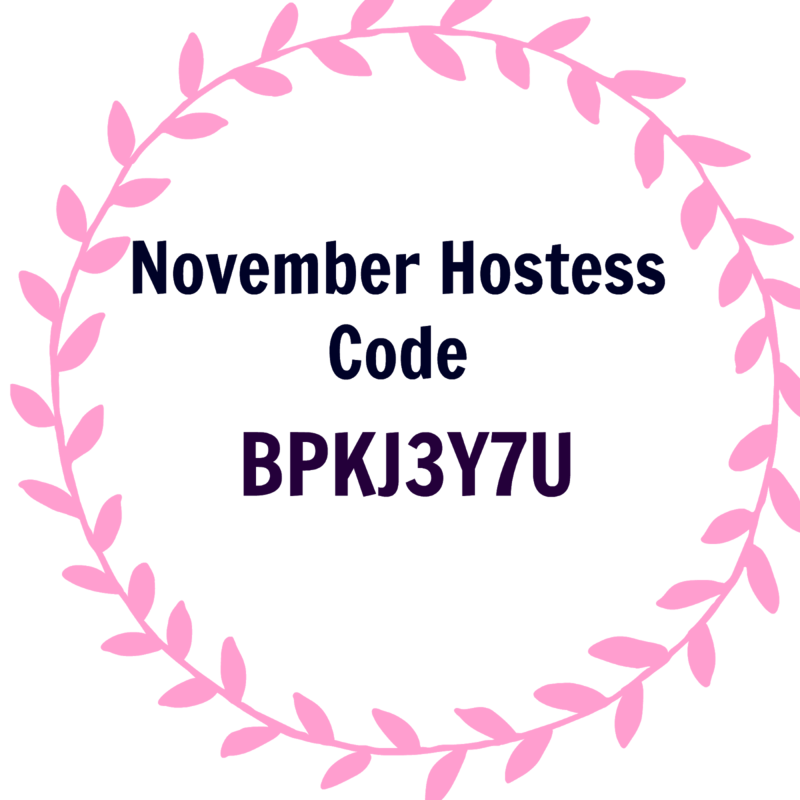 Remember to use my hostess code if your order is less than £150. This will enter you into my rewards club. What a cute little box Ann! Easy enough to make. Your nails are simply gorgeous as well. Cute box. I don't know whether you are interested in a little tip yourself? I had always the same problems you had here with the tape. I use now the medical microporous tape that you get beside the plasters in every supermarket. It is totally cheap, mine is from Morrisons, it is super to fix the dies and they leave absolutely no mess.